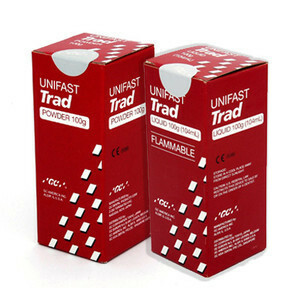 Dental GC UNIFAST TRAD Powder 100gr Liquid 104ml - FREE SHIPPING Dental GC UNIFAST TRAD Powder 100gr Liquid 104ml This listing is for ONE GC UNIFAST TRAD SET Powder (Ivory) Liquid Unifast TRAD is a self-cure methylmethacrylate resin designed to offer speed of treatment and problem free removal during the setting phase at an economical price. Recommended for temporary inlays, onlays, crowns and short-span bridges. GC Unifast TRAD can be used in combination with an impression and with prefabricated crowns. Long Expiration Date Shipping: We ship your order by Israel Register Post within 24 hours after payment is cleared. We provide tracking no. and you can trace your order at Israel Post Web Site We currently accept PayPal as our major method of payments Payment We prefer paypal payments but will happily accept payment over the phone. We accept all major Credit Cards Contact details: Should you have any questions, please don't hesitate to contact us through message system (Contact Seller's link). 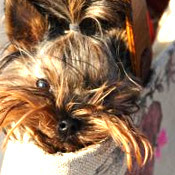 Return policy: Refund or replacement request is available only requests within 30 days after the item received. If a defective product was received, please do not hesitate to contact us within 7 days, We will response in 24 hours to resolve the problem. Buyer is responsible for shipping and handling costs related to returning the item. If purchased item(s) not received within 30 days after payment made, we will be happy to post another one or offer a full refund. GENERAL NOTE: In full compliance with Medical Drugs and Devices policy, we are including following required information: Y.Your-Dent (2004) ltd Netanya, Israel Tel: 972-9-8343032 The sale of this item may be subject to regulation by the U.S. Food and Drug Administration and state and local regulatory agencies. Please bid just if you are an authorized purchaser. If the item is subject to FDA regulation, I will verify your status as an authorized purchaser of this item before shipping of the item.